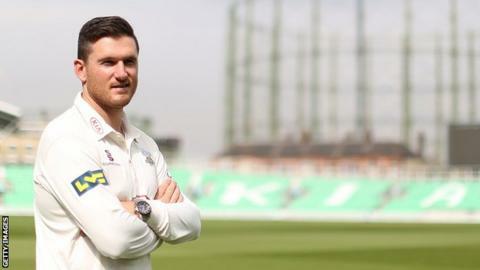 Surrey coach Graham Ford expects captain Graeme Smith to lead from the front in their bid for promotion after ending his international career. The 33-year-old missed most of last season because of injury. However, the former South Africa skipper is available for the whole of the 2014 campaign. Ford told BBC London: "To have his knowledge and vast experience on board is something coaches dream of. He is going to have a fantastic impact." Smith, who joined Surrey on a three-year deal ahead of last season, became South Africa captain after playing just eight Tests. He went on to score a total of 9,265 Test runs at an average of 48.25 and led the Proteas to victory in 53 of his world-record 109 matches in charge. "He is a brilliant player and a brilliant leader over a long period of time," said Ford. "He is a better captain now than he was years ago - although he was always good right from the start. "He knows how to get the best out of men and how to boost young players." Surrey finished bottom of Division One last season, and are relying on the two South Africans to inspire a quick return to the top flight, but Ford has been quick to play down expectations as he assesses the strength of his squad. "I've only been involved for a few weeks so I am not going to make any bold predictions at this stage," the 54-year-old said. "There is no doubt in every single game we will be focused on trying to get out of Division Two. Just how quickly that is going to happen, it is too early for me to tell. "We find ourselves trying to rebuild. Exactly how long it will take to rebuild this group one can't be sure, but I'm sure it will be exciting." Ford linked up with Surrey in late February after serving out his contract with the Sri Lanka national side. Despite missing the early weeks of pre-season, he said getting up to speed at The Oval had not been an issue. "That [being with Sri Lanka] certainly made things a little bit tricky, but fortunately Alec Stewart [Surrey executive director] has been great and we have kept in touch the whole way through," he added. "The coaches have been really good in updating me with the progress of the players. Even though I have been a long way away for a lot of the time I have had a good idea of what has been going on and what we are trying to achieve. "Assessing the players has been the main thing; getting an idea of what makes them tick and what they are about. "They have made good progress in a short space of time and there is a nice young feel to the group. With youth comes energy and enthusiasm."